I was at Lisa’s KidsPark with my laptop and I decided to go to auto makers’ websites and do the “build your own” vehicle. I got pricing on the vehicles I’m interested in. Here are the pricing results and my ratings based on the vehicles appeal to me and the pricing results I found. All the prices are based on similar options available on the various vehicles. I did not price out the bottom or the top of the line vehicles. 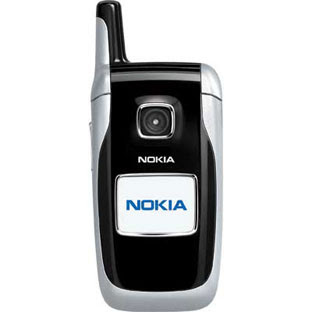 I chose the features and options I liked and tried to keep the price within reason. All the options I chose were similar on all the vehicles in a particular category. My “5 Stars” choice is the Chevrolet Tahoe. 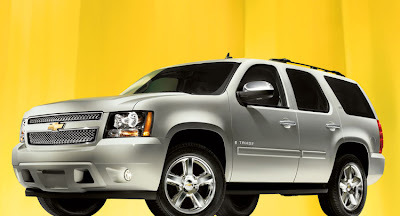 A new Tahoe moderately equipped was priced at $39,905.00. I love the look of this SUV, and although it is not the cheapest, it is larger than the price leader and would be a great fit for our needs. My “4 Stars” choice is the Ford Expedition. 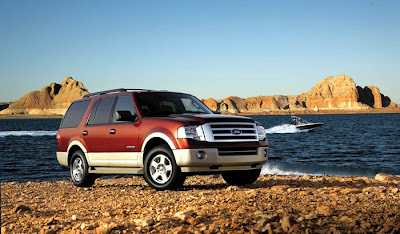 A new Expedition moderately equipped was priced at $42,055.00. This was the highest priced SUV I built. This keeps it out of the top position but it has several features we really like. This SUV has been on the list for a few years. Some of the things added to this latest model are really nice. I really love the cooled seats. Again, the room here is what we are looking for. My “3 ½ Stars” choice is the GMC Arcadia. A new Arcadia moderately equipped was priced at $35,960.00. This was the “best price” winner. This is a new vehicle without many reviews completed on it yet. It is a cross over and is probably more like a car in its handling. I am not sure about the room, but if it’s good, it would probably move up the list. If it really was able to provide for all out needs, it could even move to the #1 (5 Stars) position, based on its cost. My “5 Stars” choice is the GMC Sierra 1500. 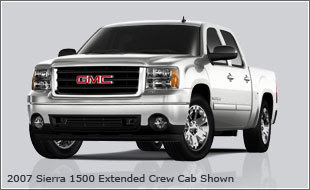 A new Sierra moderately equipped was priced at $33,655.00. This is also the “best priced” winner. I think this is the truck for me right now. If I was going to buy a truck, this would be the one. GMC is a solid truck. The room would be great and I love the lines. It can also do its share of the chores. My “4 Stars” choice is the Ford F-150. 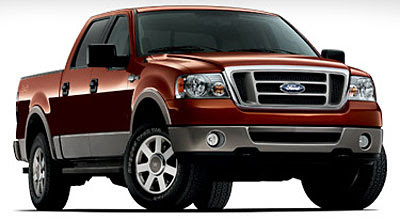 A new F-150 moderately equipped was priced at $34,628.00. 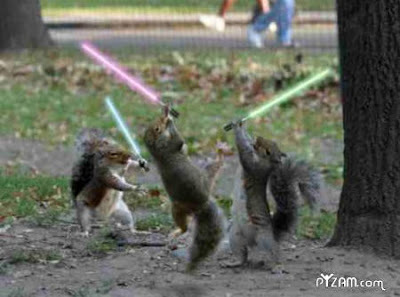 This is a close second…really close. I’ve liked the F-150s for a little while. 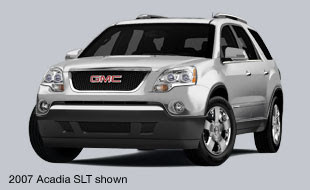 The only down side I see to this one is the 2009 is a model change year where the GMC is going to last for probably 6-8 years more before a change. 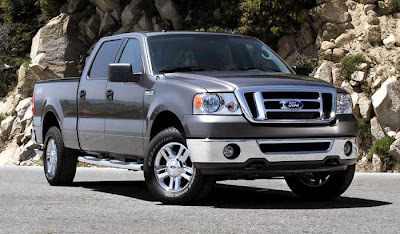 I did look at the new Toyota Tundra but the price was $37,564.00 and it has a really short bed on the four door version, something Ford finally fixed on the 2007 version of their F-150. My “5 Stars” choice is the Dodge Charger by a hair. 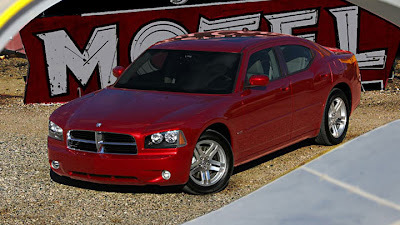 A new Charger moderately equipped was priced at $31,665.00. This car’s only fault is its manufacturer’s reputation. Chrysler has not had a good name for as long as I can remember. But, all of that aside, this car has everything I want. It’s a rear wheel drive muscle machine with lots of room for the family, all packaged in a tough looking sweet ride. My “4 ½ Stars” choice is the Nissan Maxima. 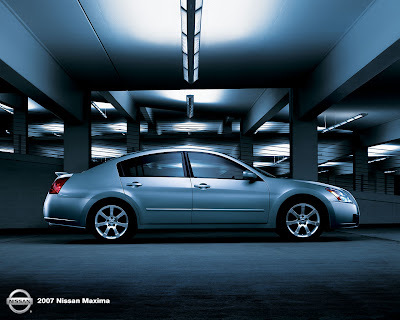 A new Maxima moderately equipped was priced at $31,220.00. I drove this car a few times as a rental. I loved its handling, power and comfort. It is a great car. The back seat may be a little too small for the future but it would work great as a second family vehicle. 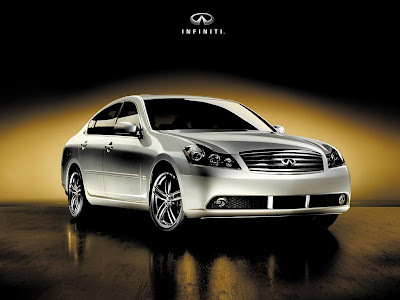 Of course, my dream family car is the Maxima’s luxury big brother, the Infiniti M35. A new M35 moderately equipped was priced at $44,965.00, coming way over budget. But, I can’t skip my favorite sedan. My “3 ½ Stars” choice is the Toyota Camry. 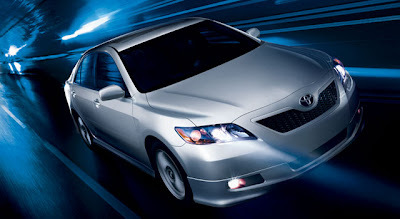 A new Camry moderately equipped was priced at $27,615.00. It’s a Toyota. It’s a great car. It is probably going to have the same issues as the Maxima in terms of room but it’s still a solid sedan for the fam. These were the choices I came up with and priced out. I did look at the Chevrolet Impala (cheapest priced), the new Ford Taurus (Five Hundred was a better name), and the Toyota Avalon (most expensive besides the M35). PLEASE POST YOUR OPINIONS TO THIS ENTRY. I want to know what you think. This is cool. My mom actually found it. It is the reason I don't like most "popular" music. Ted reminded me I've been wanting to post this video. Good DUI stop. See how you do at placing the 50 states. Check out Dan's original blog entry for the link. Here's my wife and my score. We worked on it together but she really did most of the work.